Amazon Web Services (AWS) provides a number of different cloud and container services, including the Amazon Elastic Container Service for Kubernetes (EKS), which allows users to quickly and easily create Kubernetes clusters in the cloud. Having an EKS cluster is great, but it isn’t very helpful if the cluster is empty. This is where Amazon’s partnership with Bitnami comes in! 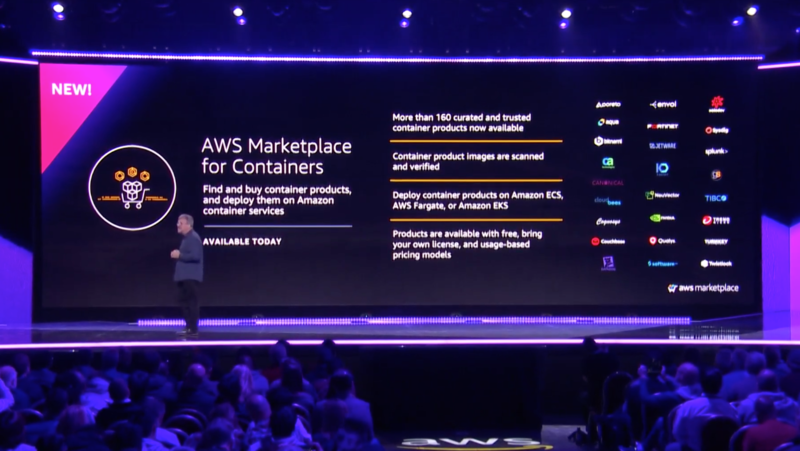 Today, AWS announced the AWS Marketplace for Containers. Bitnami is a proud to be an official launch partner of this new AWS offering. As part of the launch, Bitnami has provided over 70 Bitnami Certified EKS containers in the AWS Marketplace. As of today, the Bitnami containers that you love can easily be launched from the AWS Marketplace and directly into to your EKS Cluster. By expanding the availability of Bitnami containers to the the AWS Marketplace, Bitnami can provide its same ease-of-use experience, while helping to advance the needs of the AWS users who are moving to the increasingly popular container-focused ecosystem. To get started with Bitnami Containers on AWS Marketplace for Containers, follow our how-to guide! If you like what you see, be sure to leave us a review on the container listing of your choice or reach out to us with your questions on the community support forum. We look forward to getting your feedback.